Deborah R. Baroi is the Science Director at San Fernando Valley Academy, a Seventh-day Adventist school based in Northridge, California. With a pronounced background in cellular and molecular biology instruction, Dr. Baroi strives for excellence in her endeavors to help others to accomplish their academic goals. She currently teaches biology, anatomy, physiology, chemistry, health and careers, and health education to high school students. 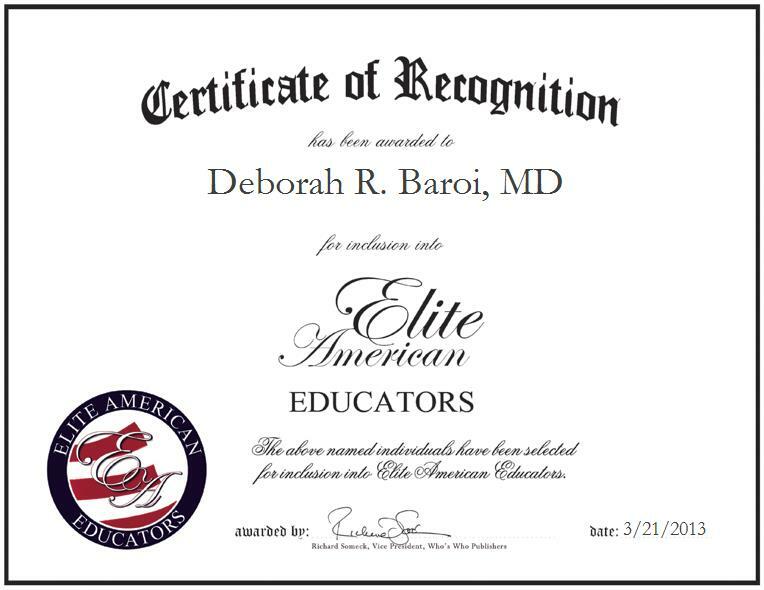 Dr. Baroi was inspired to pursue her current career path by the eye-opening experiences she encountered while working as a physician in Chicago, when she was in a car accident. She later returned to California to start teaching. Upon reflecting on a rewarding career in education, Dr. Baroi attributes her success to her faith in God and to her personal relationships with her students.